As we enter a new year, 2017, you may be thinking ahead to quilt shows this year and entering one or more of your quilts. 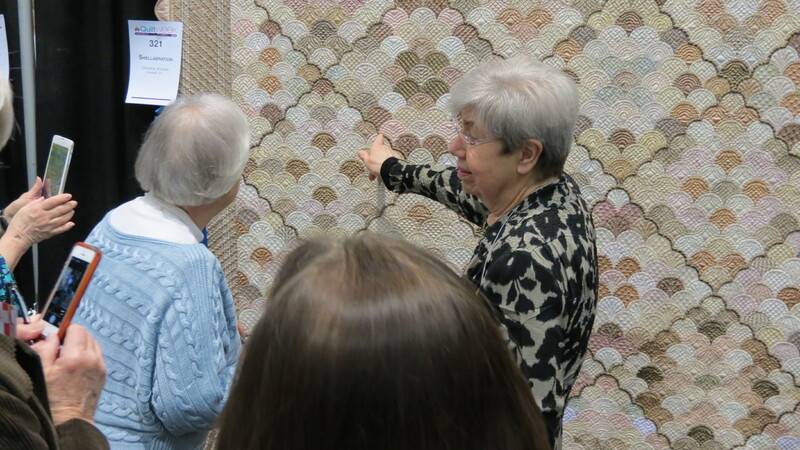 In fact, some shows like Genesee Valley QuiltFest, Rochester, NY, are already accepting quilt registrations. 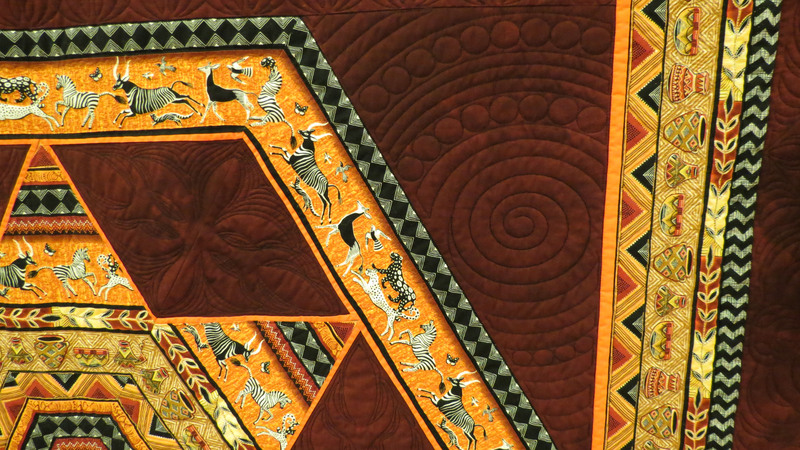 Because I am planning on entering several quilts in this show, I thought it best to think about what judges might be looking at in the judging process. 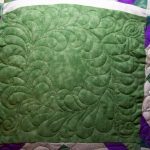 Can a quilt be ruined with quilting? 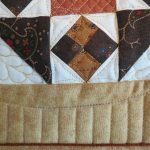 Some time back I read a blog by Lori Kennedy entitled “6 Ways to Ruin a Quilt with Quilting.” Since we all think that quilting should enhance the quilt, in reality, it is not always the case. I decided to revisit that blog to refresh in my mind her thoughts along with taking a look at judge’s critique sheets I have from previous shows. Making the best of out of shape quilt. times, there may be a quilt that really lacks in technique or has terrible color choices, but the quilting is outstanding. 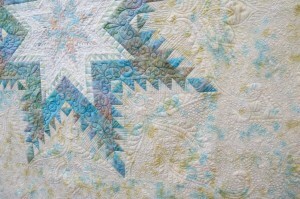 Lori mentions several things that are easily corrected, but when they occur, the quilt really is ruined. 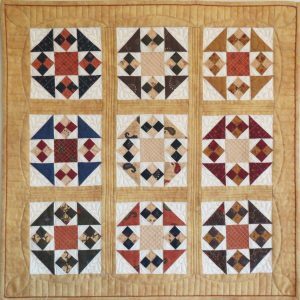 They include poor quality quilting with inconsistent tension, using thread not suited for the quilt, using patterns not in scale for the quilt, uneven quilting or irregular quilting densities, and even meandering all over the quilt. 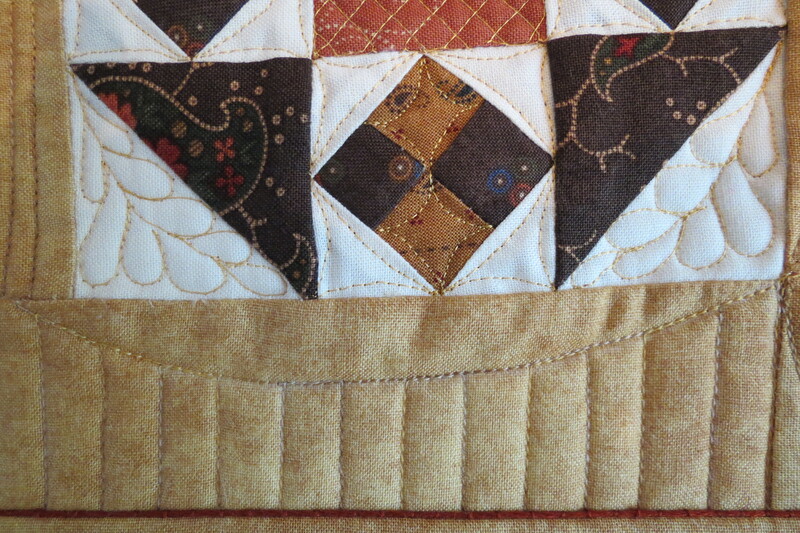 Judges certainly would notice each of these, especially bad tension, poor thread choices, and uneven density which may cause a quilt to hang uneven. When they see things like this, the overall impact and visual appeal is affected and their opinion of the quilt goes down even though the quilt top itself might be stunning. 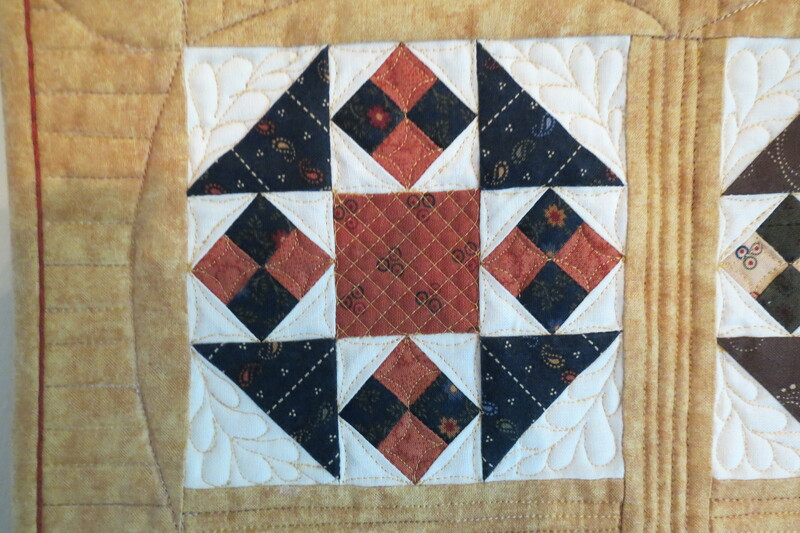 The quilt above came to me (Delightful Quilting & Sewing) for quilting. Because the owner has a medical issue that causes shaking, she no longer can piece like she used to. 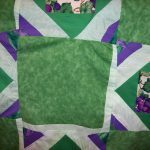 Seams were not consistent, gaps in places, paper pieced areas where fabric did not cover, and other issues caused the quilt to be terribly out of shape. 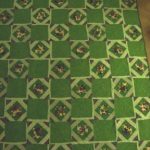 With careful layout and custom quilting each block, I was able to bring the quilt into “square” and cover a multitude of quilt “sins” making the quilt look acceptable. She was thrilled. 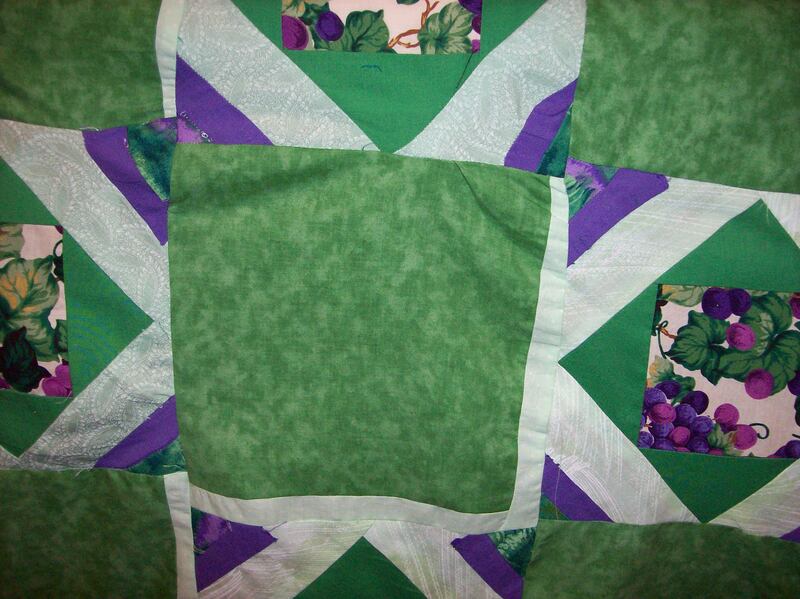 In this case, the quilting made the quilt. my quilts. 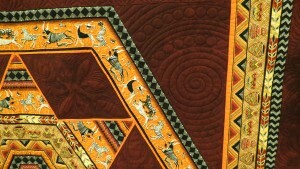 The comments are their opinion based on their wide knowledge of quilting style, technique, composition, and many other characteristics and techniques they find important. 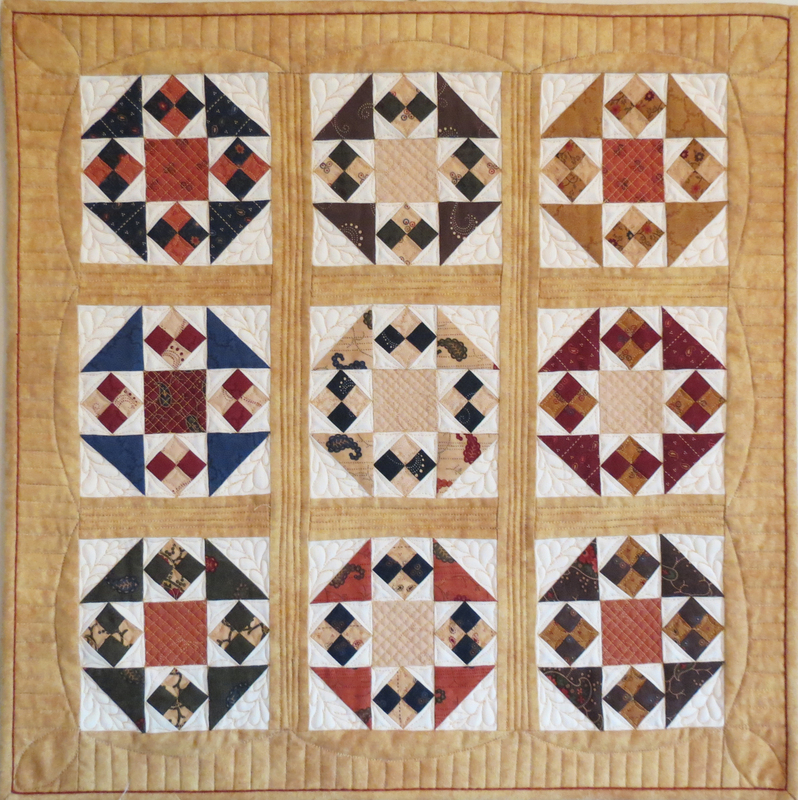 Most judges have been closely observing quilts for many years and have judged thousands. Some comments, of course, could be taken personally as critical demeaning comments, but they are meant to point out flaws that if I want to become better they will help me grow my skills. One of the things I really appreciate on some critique forms is the “other comments” the judge took the time to make. It is one thing to have items checked off as either best features or suggestions, but if the judge offers other comments, I know he/she has taken the time to give me additional feedback. Sometimes it is a word of encouragement or something that stood out to them. Other times, it might be a very simple suggestion for a change that made could move the quilt from so-so to over-the-top. 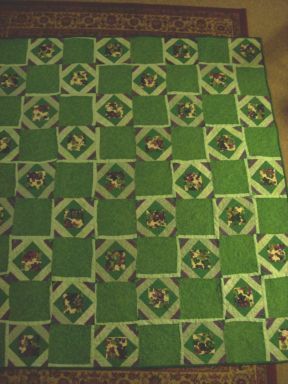 Photos of the quilt by Sally Mowers and Vickie Coykendall are excellent examples of well executed technique and quilting that enhance the quilt. What do judges look at? Even receiving great marks on a judges critique sheet might not even win a ribbon. 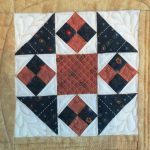 We must remember that for most of us, the goal of entering quilts should be to glean what you can from the expert’s critique to become a better quilter. If you win a ribbon or even a prize, that is a bonus. Don’t be afraid to enter. fun to see your quilt displayed and fun to stand nearby and hear viewer’s comments. Beauty is in the eye of the beholder. 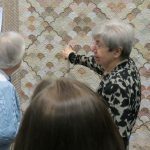 And, if you enter in a judged show, or have the option of having your quilt judged, the feedback from the eyes and experience of experts is very valuable if you want to grow your skills and become a better quilter. 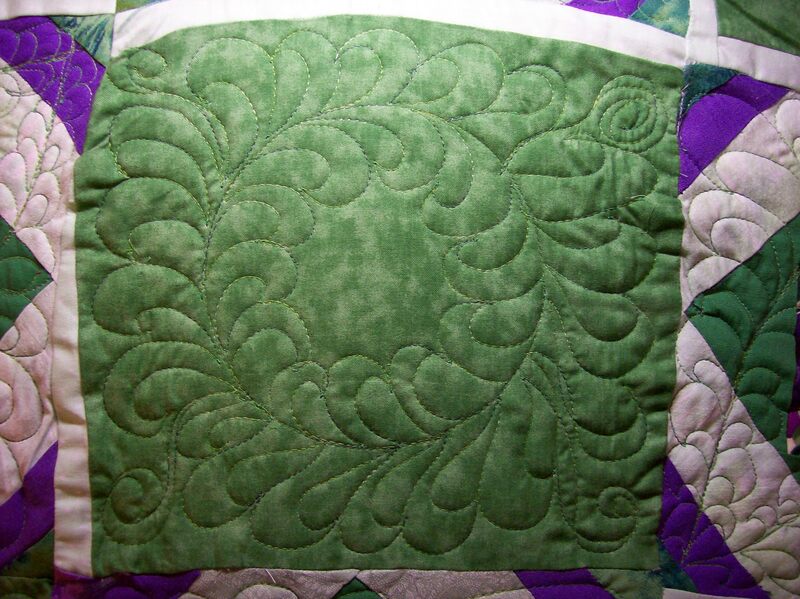 This entry was posted in Quilting, Quilting Inspiration, Quilting Techniques, Quilting Tips and tagged quilt judging, quilting inspiration, quilting technique, Quiltl Shows, thread tension by Administrator. Bookmark the permalink.